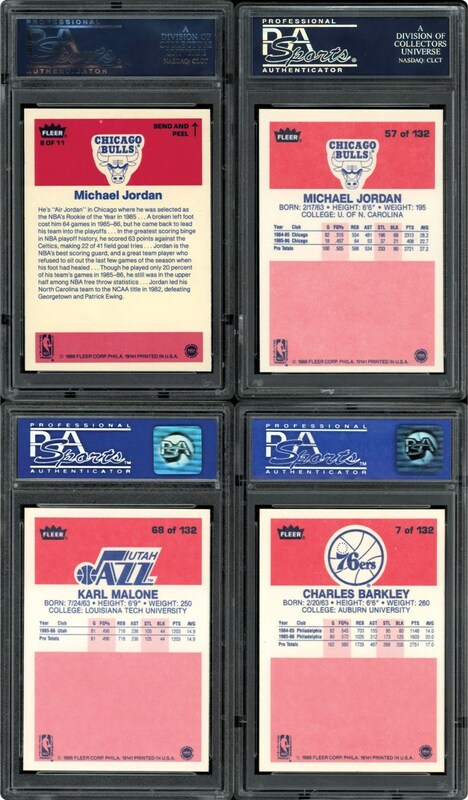 COMPLETE PSA 8 SET WITH STICKERS!!! 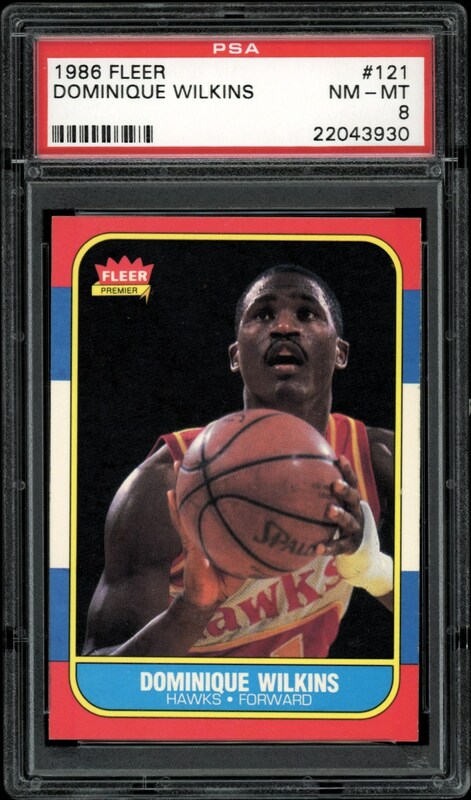 This Hobby gets excited when opportunities like this come along. 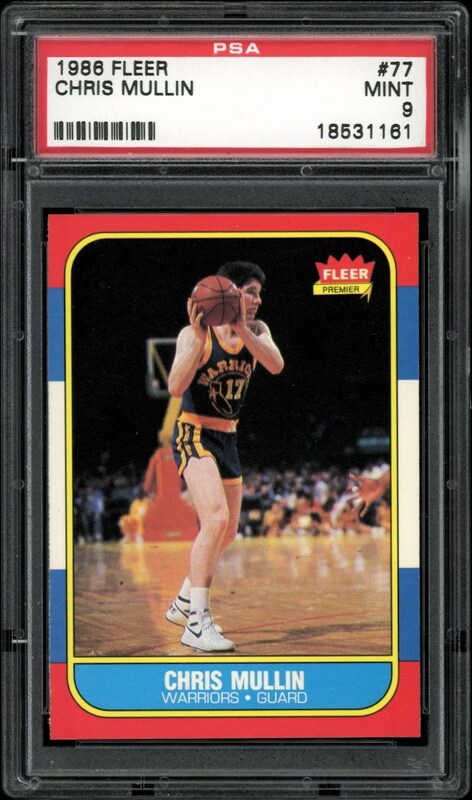 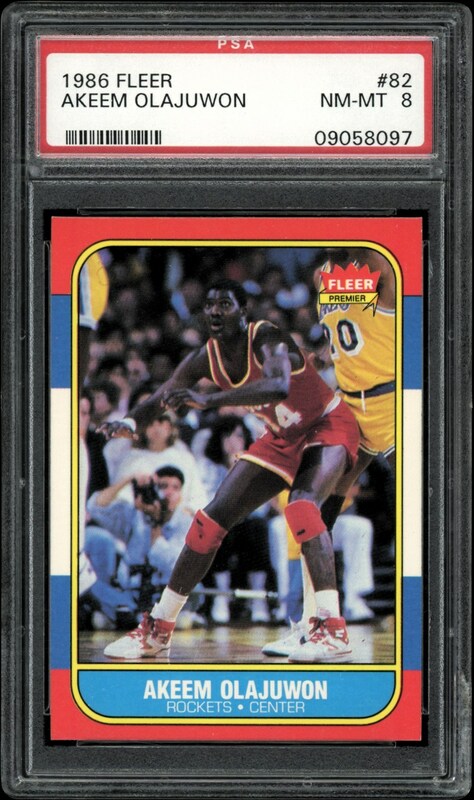 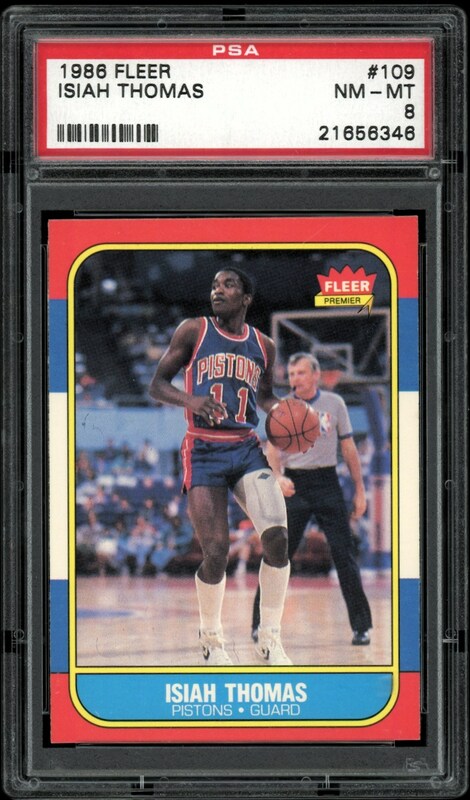 Offered is a 1986 Fleer Basketball Set of 132 cards that has been graded by PSA as NM-MT 8's as well as the Sticker Set again, all in PSA 8 holders with one exception, the Mullin Rookie is a PSA 9. 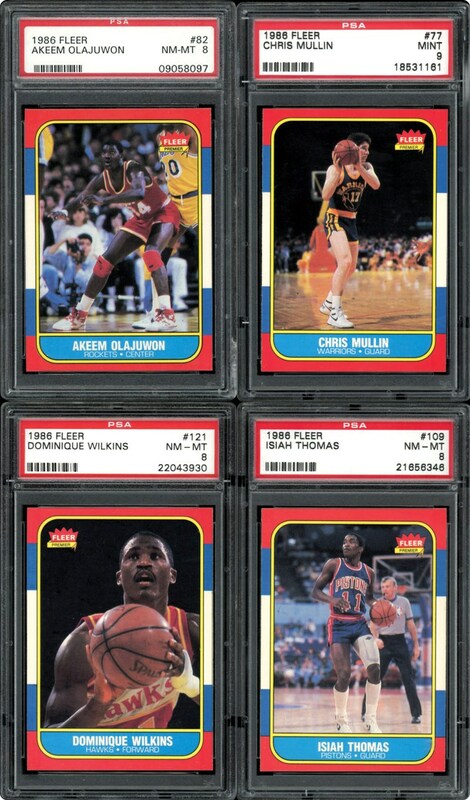 This set is stunning as there are many important Rookie cards and Star cards included in this series. 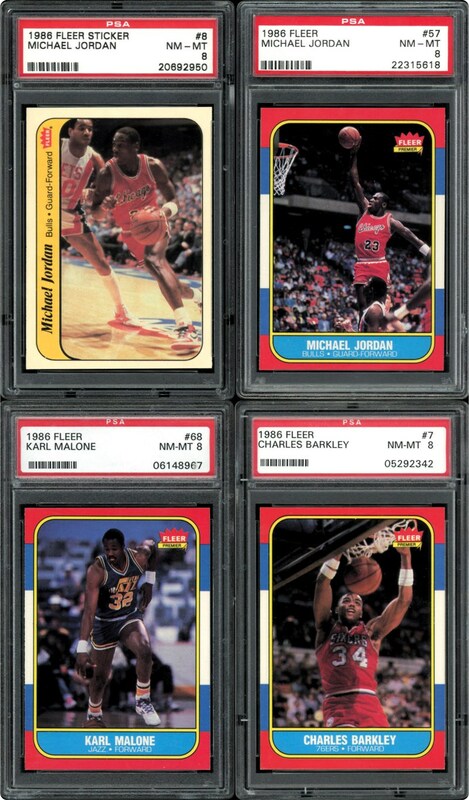 You get Rookie cards of Barkley, Malone, Olajuwan, Wilkens, Ewing, Drexler, Thomas, Dumars, Worthy and oh yes, MICHAEL JORDAN. 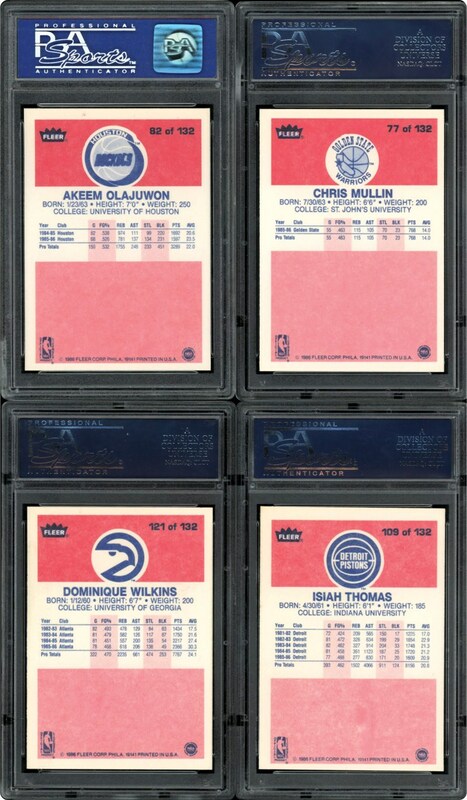 Also in this set are players like Magic, Bird, Jabbar, Walton and McHale. 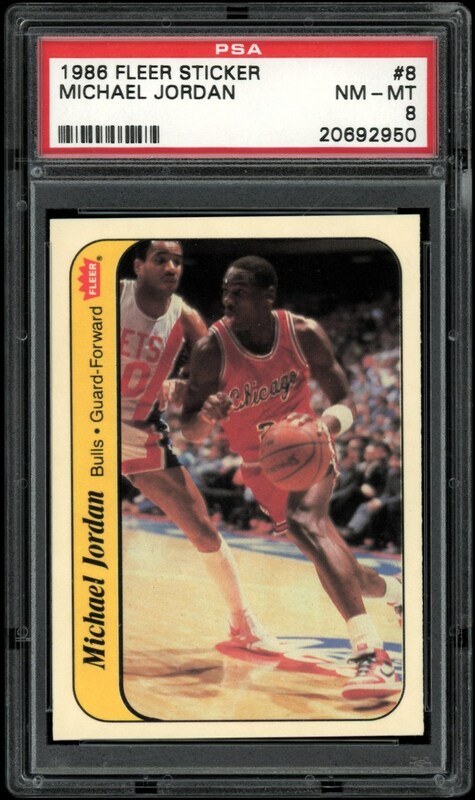 The MICHAEL JORDAN Rookie card is among the nicest 8 we have ever offered. 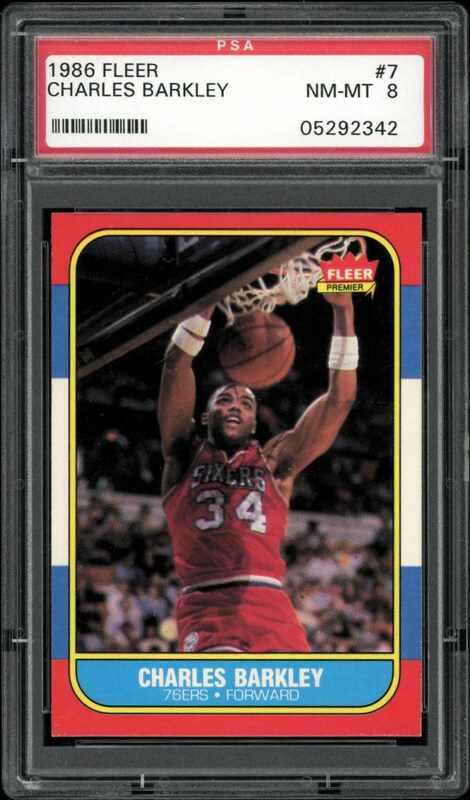 Look no further, this set is one for you. 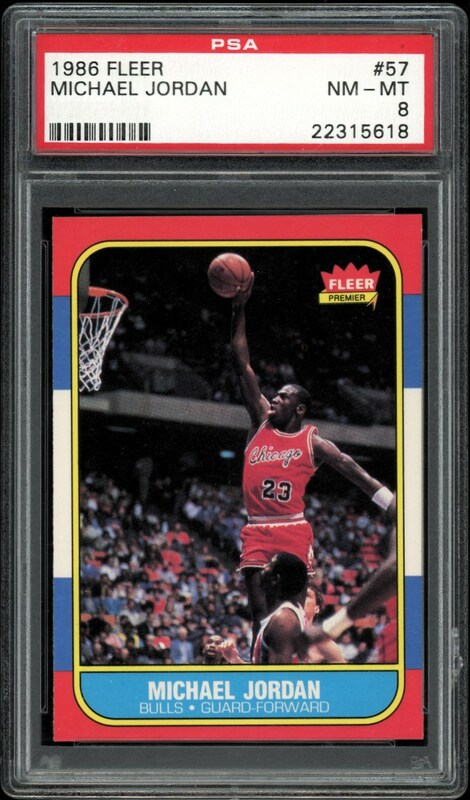 Tremendous upside on this set with the Stickers all in PSA 8 holders. 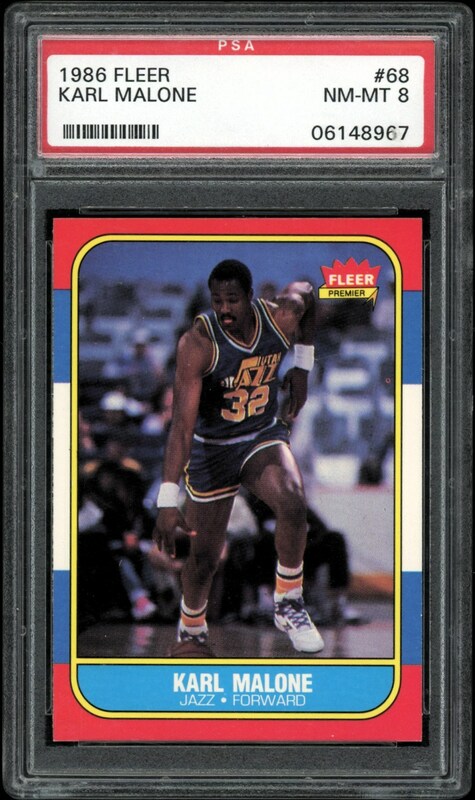 SMR Value of almost $4,000.